In the past few years, pop-up businesses have become more and more popular. A concept that originates from the success of market stalls, pop-ups have become profitable over the past four years. These mini businesses have been cropping up here, there and everywhere. From street corners and malls to events and train stations, portable businesses seem to be the next big thing. 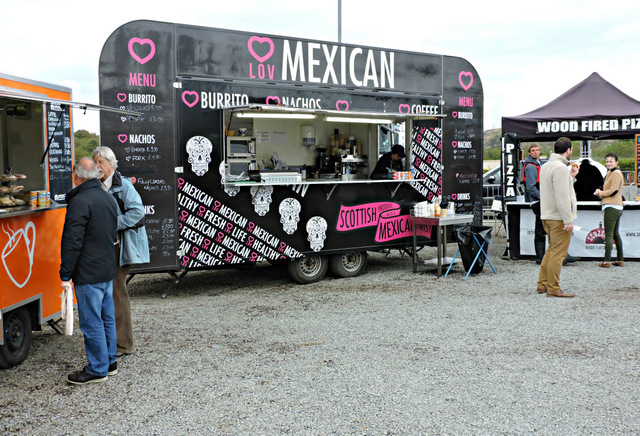 As well as being a business concept in their own right, pop-ups have become successful with many food and drinks based businesses. As well as trading from a static venue, lots of companies are choosing to create their own pop-up stalls. These are then transported around the country to different places and events. A lot of brands have recognised the potential that pop-ups can have for them. If you own a food or drinks based business, there are many benefits that having a pop-up could bring for your company. Below is a list of all the ways having a pop-up could help your business to become more successful. As well as advice on how to go about creating your own pop-up stall. One of the main benefits of having a pop-up for your business is that it will allow you to grow your reach. Often, pop-ups can act as a fantastic marketing tool as they draw a lot of attention - be prepared for your stall to be surrounded by crowds. Something new always sparks interest, especially if it looks interesting and unique. Another benefit of pop-ups is that they can be a great way to test the waters, so to speak. Say, for example, you’re considering launching a new store, you could use a pop-up to measure how successful it could potentially be. Obviously, to do this you’d need to purchase a range of equipment, so would need a small budget. Say, for instance; you want to see how successful a coffee shop could be. You would need a La Marzocco espresso machine - or another suitable model, a coffee grinder, fridges, and so on. To run a pop-up, you would need to ensure that you had the right tools and equipment. Pop-ups are a fantastic method of giving your profits a boost. This is because you’re able to offer a service that an area doesn’t usually have, creating a sense of urgency to try what you’re offering. And also because, at events such as music festivals, there are thousands of people in attendance. Because of this, you’re guaranteed a steady stream of customers. Well, as long as what you’re offering is appealing and carefully priced, that is. If you’ve been wanting to experiment with a few new recipes and ideas for a while, a pop-up could be the ideal way to do so. Instead of trying out your new concoctions in your restaurant, take to the streets in your pop-up. Say, for instance; your restaurant is an Italian that only sells pasta, salads, and meat dishes, but you want to try pizzas. You could make a few different pizza options and sell them from your pop-up. This would allow you to get an idea of how popular the concept is, as well as which flavours people prefer. If you want to experiment, a pop-up could be the perfect option. Pop-ups stores and restaurants have become highly popular over the past few years and for good reason. For business owners in all industries, they can be highly beneficial. But even more so for food and drinks based companies.